Last week I was called a misogynist for criticising the work of Frida Kahlo, the Mexican painter. I say she is a Mexican painter, but a more accurate description of her nowadays would be, and I apologise for the hackneyed phrase, a feminist icon. Kahlo (1907-1954) ticks the right boxes for the radical feminist Left: she was disabled, a Marxist, and was ‘overshadowed’ by her philandering husband, the muralist Diego Rivera. There is no doubt that she suffered much in her life or that she had some talent with a paintbrush. Had she been a man she would perhaps not be forgotten, as the late art critic Brian Sewell once suggested, but at best she would be remembered as a minor Mexican surrealist. However, what got me into trouble was saying that the cult of Kahlo, for that is what it has become, is absurd. Theresa May, for example, has been seen wearing a Frida Kahlo bracelet. Given the Leftward drift of the political class it is perhaps not as surprising as it should be that a British Conservative prime minister wears a bracelet depicting a Mexican communist while making a speech at a Tory Party conference. But I digress. Kahlo’s personal possessions are currently on display at the V&A, which incidentally calls her an icon in the exhibition’s notes. For Kahlo cultists this show will be essential: you can see one of her prosthetic legs. The cult of Kahlo has little to do with her work and a great deal to do with her life, which has become a symbol for the radical feminist Left of all their wrongheaded views: that she was somehow suppressed by a conspiracy of men, the ‘patriarchy’. 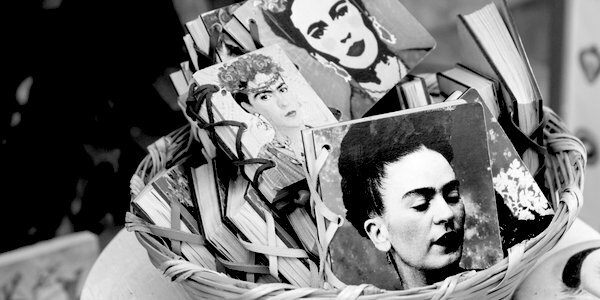 There is no doubt that Mexico in Kahlo’s day was not an easy place for women to be independent. However, a cursory study of her career shows that she had success, international recognition, exhibitions in New York in her own lifetime and a celebrity client: Hollywood star Edward G Robinson bought one of her paintings in 1938. One of her shows was positively reviewed in Time. Somehow I cannot see her as the Kahlo cultists do, as a Latin American female Van Gogh. Criticising Kahlo is not an act of misogyny, it is the act of someone who cares more about art than about identity politics. The person who thought I was a misogynist is clearly intelligent and makes a living as a writer. Yet she defended the cult of Kahlo not so much by presenting a positive case for her work but by telling me what a hard life Kahlo had. This was illuminating. It showed yet again what Marxist theories of culture have done to art: making talent secondary to gender, race and circumstance and from there rendering art as a sort of background issue. It is a quick route downwards from Kahlo’s paintings to Tracey Emin’s squalid My Bed, which was not art, but at best exhibitionistic reportage. Here it is worth noting that in America, which is supposed by hardline feminists and #MeToo activists to be a repressive and patriarchal society, Emin’s bed sold for £2.5million. Emin’s success is all about her gender and background box-ticks. If a white man were to push his soiled bed and underwear into a gallery as evidence of his alcohol misuse and promiscuity I don’t think the mavens of diversity would be very impressed, but when Emin does that it is transmogrified into high art. The art world has long been poisoned by its absurd and contradictory mix of Marxist critical theory and big money. The Kahlo cult has its antecedents and equivalents. One thinks of Chris Ofili and his Holy Virgin Mary in which the mother of Christ is daubed with cuttings from pornographic magazines and elephant dung. It last changed hands for £2.2million. Then there is Jean-Michel Basquiat, the child street vandal who was taken up by the New York art cognoscenti. He had a short, glittering career that saw him mixing with Madonna and David Bowie before dying of a heroin overdose aged 27. Critics make fanciful claims for his work but the truth is that Basquiat was an early beneficiary of the magic wand of diversity politics as waved by cultural revolutionaries: never mind the work, feel the street cred. His childish scribbles and daubs are very expensive. One of his paintings, an incompetently-drawn skull, holds the US record for the auction price of a painting, at £82million. If Basquiat had been tutored, he might have become an artist of note but, as I say, for cultists it is not about the work, it is about the person. If you were debating the merits or otherwise of J M W Turner, your first argument would not be that he was a working-class boy whose father ran a barber’s shop in Maiden Lane, Covent Garden. It is of course interesting and rather wonderful that those are the facts of his life and that he went on to become one of the world’s greatest painters. But talent and merit is the matter of first importance and the Left, whether they realise it or not, are out to abolish it because it is unfairly distributed and stands in the way of their conception of society. Woe betide the person who criticises the power-obsessed malcontents of radical feminism and zealots of diversity. Look at Lionel Shriver, the American novelist. She was sacked from judging a writing competition because she criticised the publisher Penguin Random House. It is fairly safe to infer that the ethos which has more or less wrecked the visual arts is now marching on literature. The cultists will find new idols, new Kahlos, and our culture will be the worse for it.